Finally I have a tripod!! I’ve had a play around with these Portrait photos, let me know what you think of them. Do I keep with the portrait photos or landscape photos? Also, do you prefer only one or two photos or a few more like this one? Let me know please!! 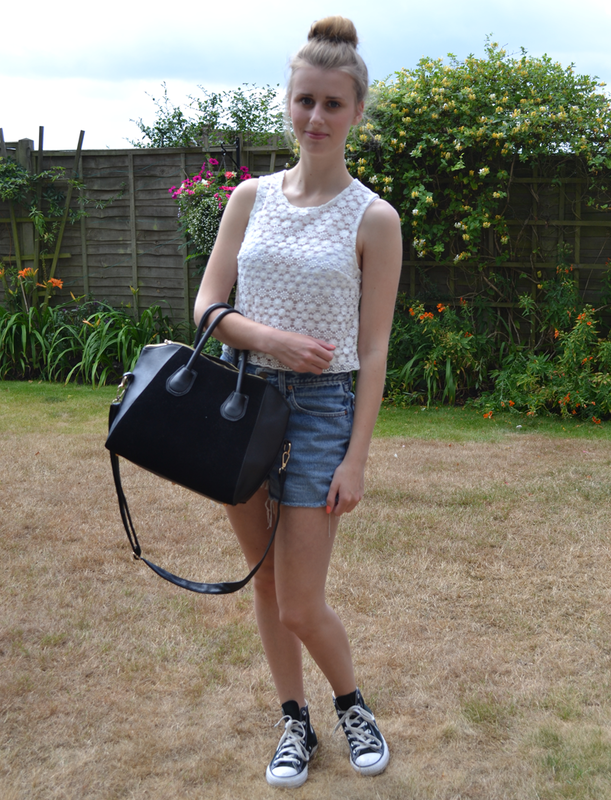 This outfit was what I wore last Monday, I went with a few friends to the park just to soak up some sun! 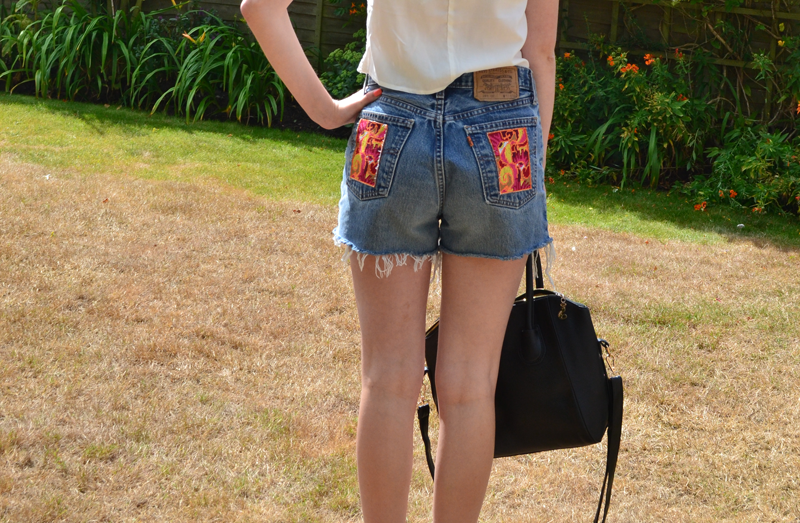 I have finally photographed my Levi Shorts I got in the sale last year. I’ve worn these SO many times this summer and just haven’t got round to picturing them. I love the patchwork on the pockets, they’re high waisted which I always want in a pair of shorts, and they safely cover up the bum. 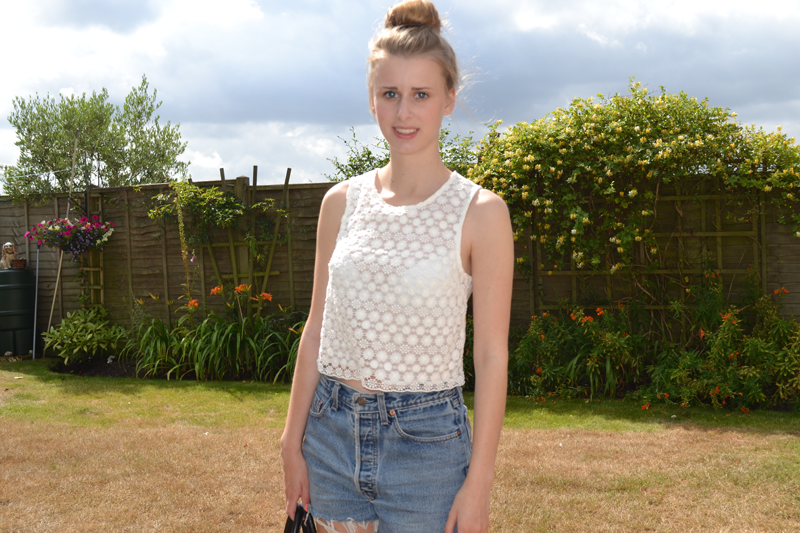 They’re my ideal shorts and I’m pretty sure I’ll continue wearing them until I no longer fit! I love this vest, the lace is so cute but I wish I got a size bigger as it’s a bit tight to put on, I wouldn’t wear it with anything not high waisted either because it’s fairly cropped, but not cropped enough to be a crop top.. if that makes sense?